Q & A with Wanda Kay Fittro!!! Beyond The Horizon is my current release. Katie and Josh, both desperately seeking redemption from their past, discover passion in each other's arms. Throw in a jealous ex-lover, the excitement of rodeo competition, and danger just around the corner, can their love survive? That I enjoyed writing the villains as much if not more than the hero and heroine. I have a da Vinci stone I rub sometimes. It's supposed to help inspiration. If that doesn't work there is always coffee. I belong to two local writing groups that have been amazing. They have been supportive with both advice and encouragement. I don't know if I would have made it through this whole process without them. My son has been so supportive. He always asked me how it was going and encouraged me to keep submitting after every rejection. I love to scrapbook. I've made one from a trip to Chicago and for my son's wedding. I'm currently working on a Bucket List album. I'm currently working on the first draft of Coming Home. A young woman returns to her small town after the death of her mother and must confront the past including her ex high school sweetheart. Katie and Josh, both desperately seeking redemption from their past, discover passion in each other's arms. With danger just around the corner, will love survive? When Katie Sullivan makes the hasty decision to run away from an abusive relationship, she has no clue what is ahead of her. She only knows it has to be better than her life up until now. Her boyfriend is a powerful drug dealer who will stop at nothing to get her back. She knows too much. Car trouble leaves her stranded in the middle of Kansas, with little money, and a growing fear of failure. Widower Josh Warner works and lives on an elderly couples’ farm. He juggles the responsibilities of raising his young son and his passion for the rodeo. Unable to let go of his deceased wife’s memory and on the rebound from a misguided affair, he has no desire for another relationship. But, when Katie appears out of nowhere, everything changes. Against all reason, Katie and Josh find themselves drawn to each other. If the past catches up to them, their newfound passion, and their lives could be in jeopardy. Can their love win against the evil headed their way? "You know, it's a nice night for this time of year. Would you like to sit on the front porch for a while? I can meet you out there after I get Chad settled in." "Hate to waste a nice night, especially with winter just around the corner, but suit yourself." Katie sat alone for a few minutes after he left. What the heck. Why shouldn't I enjoy an evening on the porch? She went upstairs to get her sweater. Whether Josh showed up or not didn't matter. She could use the fresh air. Surely it's worth putting up with him for a little while if he does join her. In her room, she attempted to check her phone for messages, then remembered it hadn't worked since she dropped it on the floor. Just as well. Katie felt her neck and shoulders relax a little. At least she wouldn't have the constant worry of what message Rick would leave next. She really didn't want to hear his threats or how close he was to finding her. All she wanted was some peace and quiet. Maybe a nice evening on the front porch would be just the ticket. When she stepped out, Josh stood on the top step looking at the stars. "I love a crisp fall night. It's like you can see clear across the universe. Look how close the Milky Way seems." He reached out his hand as if to touch it. Katie sat on the wooden swing. The rusty chain squeaked as she moved back and forth. "Do you know a lot about the stars?" Josh stepped up, leaned on the porch rail, and faced her. He crossed his long legs, placing his hands on each side. A feeling of ease flowed from him. "A little. Lisa and I used to stargaze at night on the balcony of our apartment. She bought me a book for one of my birthdays that showed all the names and positions of the constellations. I still don't know where she got it. There aren't any bookstores for miles around." He shook his head and turned back around toward the yard. Katie fell silent. There really wasn't anything to say. She knew the pain of his loss must run deep. "The tree frogs and the crickets are really strumming their tunes tonight." Josh broke the awkward silence between them. Katie stopped the movement of the swing to listen. "That's a sound you don't hear in the city. You don't see a night sky like this either." "I can't imagine living somewhere without the sights and sounds of nature around. It gives rhythm to a person's life, you know?" Katie didn't know quite how to answer that. His words were so profound and heartfelt it startled her. Maybe there is more to him than rodeos and wheat fields. "It is beautiful out here," Katie pulled her sweater around her shoulders tighter. "If I was staying much longer though, I would need a heavier coat. That's something I didn't bring with me." Josh turned back around to face her. "Looks like you packed in a hurry." "Yeah, I wasn't thinking very far ahead I guess." Uncomfortable with the turn of the conversation, she changed the subject. "Chad seems to be a really good kid. And smart. He whizzed through his math homework in no time. You should be really proud." A shiver ran through her as a crisp breeze blew onto the porch. Josh sat on the swing, took off his jacket, and placed it around her shoulders. He let his arm rest behind her. Katie resisted the urge to protest. His arm felt comfortable and safe...like it belonged there. Wanda Kay Fittro lives in the beautiful Ozark Mountains in Southwest Missouri. Being born and raised in a small town community gave her an appreciation for that lifestyle, and provides the inspiration for her novels. A love affair with books started early on while reading Nancy Drew by flashlight under her bed covers. She won the prestigious Missouri Literary Festival Reader's Choice award in 2011 for her Civil War short story One, Two, Three. The winner of THE GLASS KITCHEN is the FIRST poster... Maureen. Please email me at pattifischer@yahoo.com and I will forward your address on to the publisher to send you your book. Chat with... Vicki Lewis Thompson this Wednesday! Fan favorite Vicki Lewis Thompson is coming back to Mo's Book Buzz on July 2nd (Wed). Chat begins at 9:00 PM EST and a door prize TBA. Chat room is here: http://client0.addonchat.com/sc.php?id=102122. Or go to www.romrevtoday.com and click on the chat link. Note: be sure your Java is updated and don't be concerned with the Java issues. Our chat room is safe! Q &A with Molly Harper! 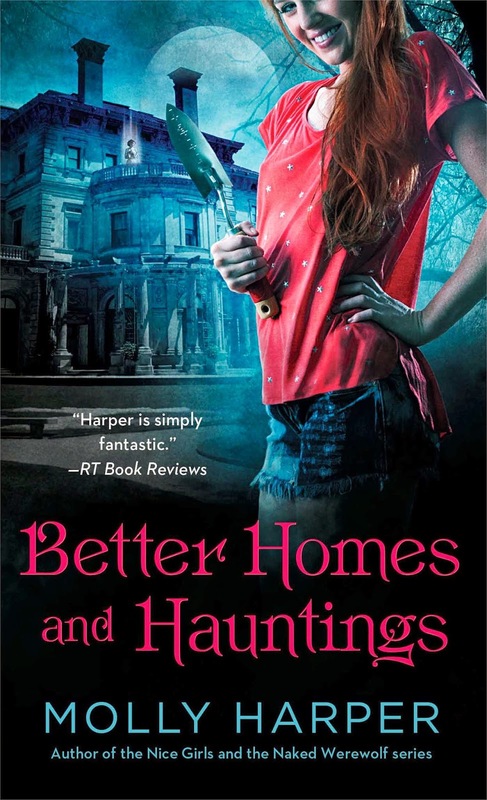 BETTER HOMES AND HAUNTINGS is my first standalone paranormal romance and my first haunted house story, so it’s a book I’ve wanted to do for a while. I wanted to write the biggest, scariest ghost story I could manage and I hope the reader enjoys it. The Crane’s Nest is a Gilded Era mansion that never quite made it as a family home as Gerald Whitney, the business tycoon who built it was accused of murdering his wife shortly after it was completed. The murder mystery and inevitable stories of hauntings and family curses followed the Whitneys throughout the generations. Deacon Whitney, a social media mogul who has managed to rebuild his fortune, wants to restore the house to its former glory and finally put the supernatural rumors about his family to an end. Storytelling was just always something I did. When we were really little, I would keep my sister entertained before we went to sleep by telling her fairy tales with us as the main characters. And I typed my first short story on my mom’s typewriter when I was eight. But I didn’t think writing could be a “real job” because there just weren’t a lot of published authors from my hometown. During my freshman year of high school, my English teacher, Mr. Werner, compared my voice to Erma Bombeck’s and really encouraged me to consider writing as a profession. I become more interested in feature writing and columns and got a degree in print journalism from Western Kentucky University. I worked as a newspaper reporter for six years and all the while, WANTED to write books. It took leaving the paper in 2006 and living without a writing outlet before I sat down and wrote a proper book. And I haven’t stopped since. Get up, get the kids ready for school and on the bus, go to the gym, hole up in my brand new office, and write from ten to noon. I stop for lunch and go back to the writing cave until the kids get off of the school bus. I have to have lip balm nearby, preferably Eos. Because if I don’t, I get distracted by the thought of my lips possibly becoming chapped. I really hate chapped lips. That I’m allowed to talk to some of my favorite authors! It was so strange the first few times I met people whose work I’d read for years -Teresa Medeiros, Cherry Adair, JR Ward – and I thought, “Wait, shouldn’t there be some sort of velvet rope or glass wall dividing me from these people?” But they’re writers, just like me. And they’re super-nice people, much like most of the people you’ll meet in this profession. I’ve found the romance community to be very inclusive and supportive. Actually, my brother in law, Ryan Clark, had a lot to do with it. I’ve known Ryan since we worked together at our college newspaper, which is how he met my sister, Manda. He writes popular non-fiction books about the University of Kentucky’s basketball program. He wrote his first book and I watched him going through the publication process. And I was already thinking about writing a book. I thought, “Well, it’s now or never, and if Ryan can do it, I should at least try.” So now we promote each others’ books whenever possible and attend some of the same Kentucky-based author events, which is a lot of fun. I started taking martial arts classes a year ago. I started with Brazilian jiu jitsu and I just got my yellow belt in karate. So I now have the fighting skills of a second grader, which is nice. I doubt sincerely I could go out and win a cagematch, but I am much more aware of my surroundings. I don’t freeze up when someone gets in my space bubble. And I’m less afraid of little things, like public speaking. I will be writing several more spin-offs to the Half-Moon Hollow books. I could tell you what they’re about, but I would have to send Ophelia after you. Also, my Half-Moon Hollow Christmas short story, I’M DREAMING OF AN UNDEAD CHRISTMAS, will be available in ebook on November 3, 2014. And third book in the Bluegrass contemporary series, SNOW FALLING ON BLUEGRASS, will be released on September 22. Molly Harper is the author of How to Run with a Naked Werewolf, A Witch’s Handbook of Kisses and Curses, and The Care and Feeding of Stray Vampires as well as many other paranormal romances. She also writes the Bluegrass series of contemporary ebook romances, most recently Rhythm and Bluegrass. 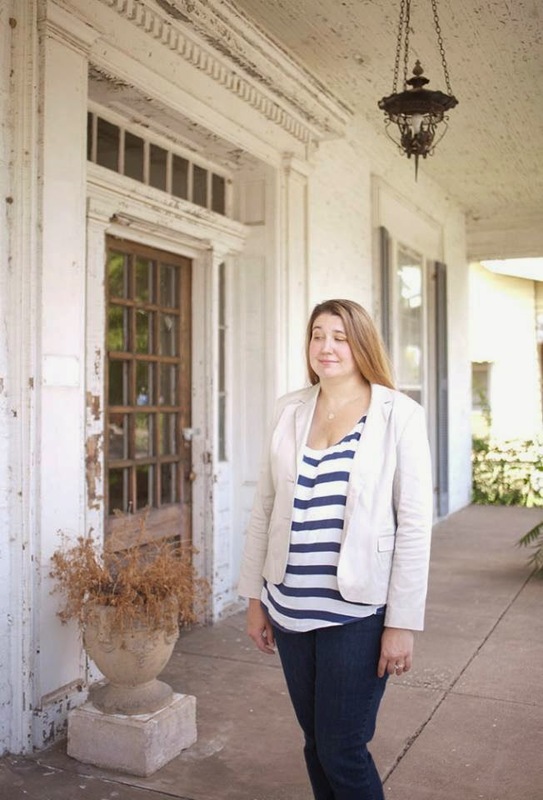 A former humor columnist and newspaper reporter, she lives in Kentucky with her husband and children. Q & A with Mia Epsilon!!! Q & A with Scarlett Knight!!! Q & A with Faberge Nostromo!!! More reviews posted at Romance Reviews Today! Q & A with H.K. Sterling!!! Q & A with Laura Moore with a Giveaway!! !